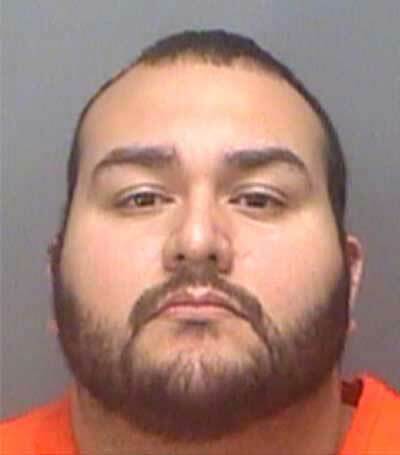 Police in St. Petersburg, Florida, have arrested a credit card fraud investigator for stealing customer credit card information. 26-year-old Reynaldo Colon was arrested earlier this week for the crime that started in 2014, according to police. Arrest documents show he worked for PSCU, a credit card service company for more than 800 credit unions. The company's website says it deals with about 18-million credit cards. "(Detectives) uncovered 21 stolen card numbers" SPPD Spokesperson Rick shaw said. "A loss of about 13,000 dollars had incurred." According to arrest documents, customers would call Colon if they noticed suspicious purchases on their accounts. He is accused of writing those numbers down, putting those numbers into his cell phone, then using his phone to make purchases. "Probably around 100 transactions, mostly at fast food restaurants." Shaw said. PSCU released a statement saying: "Our sophisticated internal security fraud detection measures worked as designed to protect against aberrant behaviour. We were able to quickly identify an issue before it escalated and turned it over to law enforcement. "PSCU worked with its credit union member-owners to ensure that their cardholders were protected and made whole." Shaw says Colon was fired in November. But, police say, he got a job at Chase sometime after. The arrest document shows Chase as his current employer. Shaw says police notified Chase about the arrest. Chase refused to comment, saying it's policy not to discuss current or former employees.